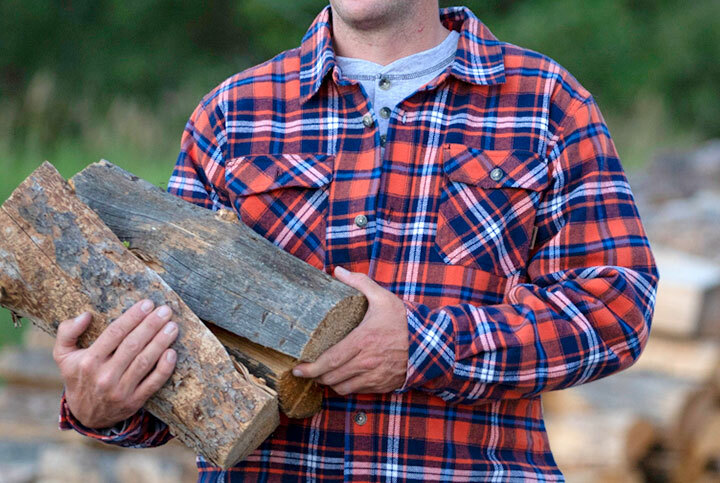 Men's Deer Camp Fleece Lined Flannel Shirt Jacket is rated 4.7 out of 5 by 332. Treeline, Daybreak Midnight Storm, and more. 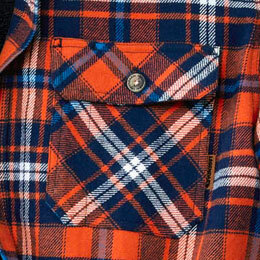 Our Legendary® designers pulled out all the stops to create innovative plaid patterns that are worthy of the best clothes in the Great Outdoors! 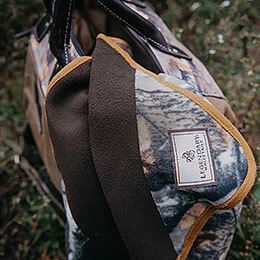 Other outfitters get lazy and put Berber, Sherpa, and other "sticky" linings that make layering a challenge. Not us. 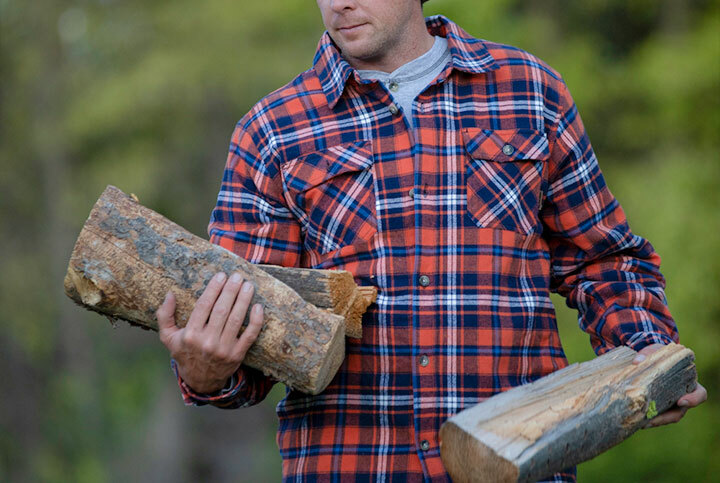 We do quilted lining for warmth AND easy-moving comfort, even when you're wearing a long-sleeve base layer. When there is chill in the air, that can only mean one thing... 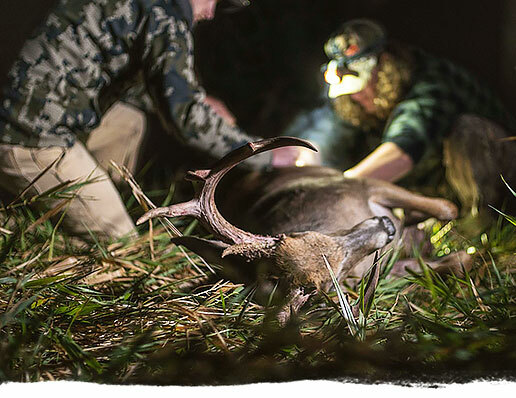 Hunting season is right around the corner. 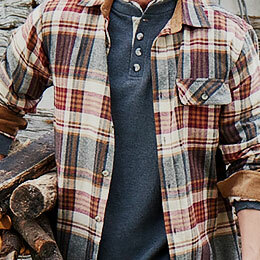 Classic plaid heavyweight flannel with soft micro fleece lining for added warmth and comfort. 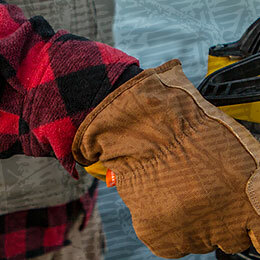 Features buttoned chest pockets and handy side seam hand warmer pockets. Rated 5 out of 5 by Nick from Warm and Cozy This shirt fits nicely, arrived before the stated delivery date. Rated 5 out of 5 by Patti from Deer camp necessity Great material, warm lining. My husband was very happy with his gift! Rated 5 out of 5 by Peggy G from Warm and cozy. My Father-In-Law loves it! He said it fits perfectly! How many oz. is this shirt? Can i pick it up at any store/outlet in chicago? I do apologize as we are exclusively available online and through Catalog we do not have store locations! is the midnight storm plaid color blue or grey? 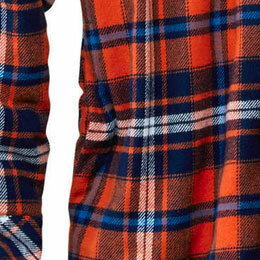 This shirt jacket in midnight storm is a navy blue and brown plaid. Does the fleece go down the sleeves. 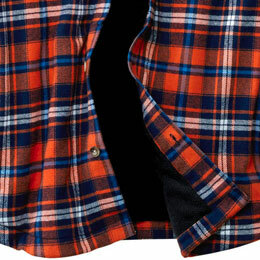 The sleeves are lined with quilted polyester, not fleece. 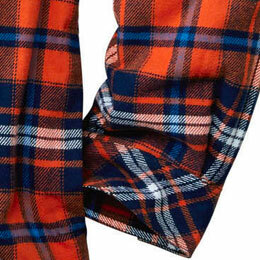 The sleeves are lined with quilted polyester. How long is this jacket? My husband likes his shirts/jackets long. He's about 6 foot. Will this go to his waist or below?